Physicists have developed compounds that can ‘record’ the direction of the last magnetic field they have experienced. 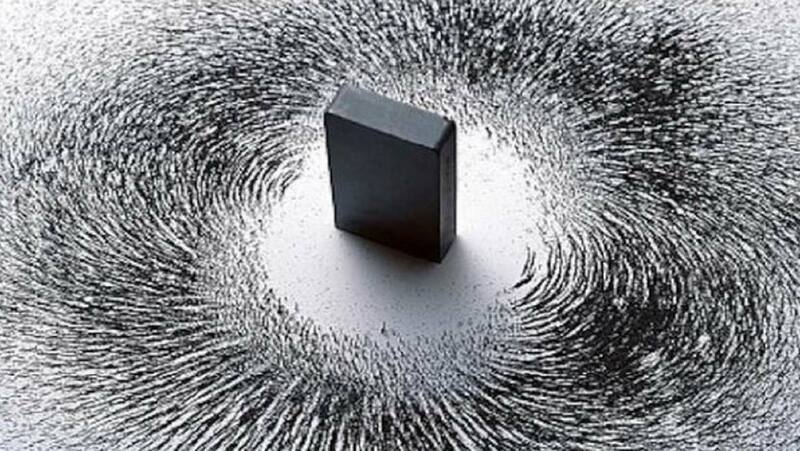 This property, known as magnetic hysteresis, comes into effect after the substances have been exposed to magnets for an appreciable length of time, and it persists even after the magnetic field has been withdrawn. The property of magnetic hysteresis is interesting from a basic scientific standpoint. Besides this, it may also have applications in the electronics and engineering of the future. For such substances to have a role in next-generation technology, the magnetic hysteresis may have to be present at a very small, possibly even nanometric, scale. This is because the computers of the future are likely to be quantum, where processes take place at an electronic level, therefore, the components that surround and support such a data-transfer standard may have to be atomic in dimensions. In other words, individual molecules capable of magnetic hysteresis (which could also be called single-molecule magnets) are highly desirable commodities in some areas of physics. Hysteresis at the molecular level is probably also the most challenging type of magnetic property to achieve. Scientists have spent years modeling and testing molecules that may be capable of this attribute. 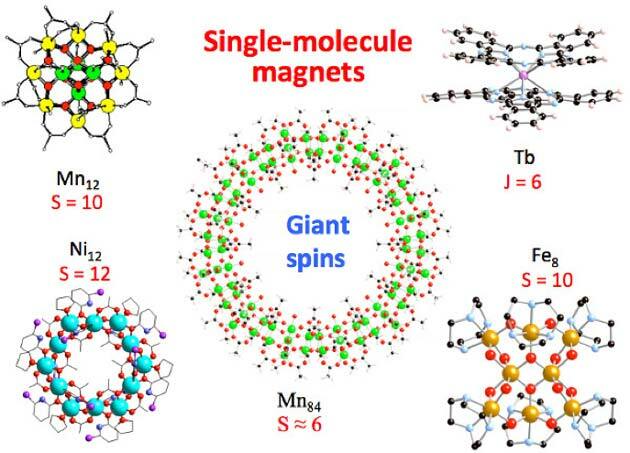 The results of such research have indicated that molecules containing elements lower down on the periodic table, and of the rare-earth variety, may be the most effective sources of single-molecule magnetism. These molecules have often been one or more atoms of the metal dysprosium (Dy) surrounded by carefully-developed lattices of hydrocarbon-like arrangements. Some other examples of these single-molecule magnets (SMMs) have also contained erbium (Er), another rare-earth metal, as the central atom. They have exhibited hysteresis as well as other related properties such as an energy barrier to their demagnetization. On the other hand, these atomic magnets have only been able to elicit such effects under certain conditions. The most critical of these is temperature, where some SMMs have been reported to function at temperatures of close to 0 Kelvin (or -273 ⁰C). For example, one Er-SMM only exhibited hysteresis at 9K (-264.15 ⁰C), although it also had an energy barrier at 358K (84.85 ⁰C). This ultra-low temperature requirement requires materials such as liquid helium in order to create the necessary conditions for SMMs in the lab. Liquid helium chills its surroundings to a maximum of about 77K (-196 ⁰C), which allows single-magnet molecules to function. However, this criterion is not exactly feasible for anything like conventional electronics manufacturing or operations. Furthermore, the use of liquid helium is expensive for any organization. Therefore, for SMMs to become feasible for use in any way, they are going to have to be engineered to function at higher temperatures. A new report, published in the journal Science, by a team of researchers from institutions in the UK, China, and Finland, may represent the first step towards such an advance in the field of SMMs. This paper describes a new magnet with a single-Dy core that can exhibit hysteresis at as much as 80K (-193.15 ⁰C). This temperature can be delivered through the use of liquid nitrogen. The material is practically standard kit in a lab, especially compared to equivalent canisters of liquid helium. The new SMM is a cation of [(CpiPr5)Dy(Cp*)], in which CpiPr5 is penta-iso-propylcyclopentadienyl and Cp* is pentamethylcyclopentadienyl). Therefore, in effect, the central Dy has a carbon ‘exoskeleton’ that can ‘remember’ the direction in which, the last magnetic field it had been in, went. The SMM was also observed to have an energy barrier to demagnetization at this relatively high temperature. The absence of a discrepancy between the levels of heat associated with hysteresis (TH) and this barrier (TB) was viewed as much more encouraging in terms of the magnet’s inclusion in the nano-electronics of the future. This is because the ability to retain magnetic field information at the near-atomic level may, one day, translate to a high-tech, yet relatively straightforward, a method of data retention to inform quantum calculations. Furthermore, the inclusion of an additional state (i.e., via magnetization, its retention, and subsequent de-magnetization) may imply the potential for binary or super-binary data storage within this hypothetical system. Furthermore, the fact that these magnets are molecular in dimension indicates scope for electronic data-storage at the absolute limits of capacity. Therefore, this new research (which has been funded by the Academy of Finland) may have opened the door to the ultra-high-volume memory that may be extremely necessary for the evolution of computing. For example, the capacity of an analog of a hard drive may be defined by nothing more than the raw number of dysprosium atoms its manufacturer had been able to cram into it. Needless to say, this figure will comfortably be in the millions. F.-S. Guo, et al. (2018) Magnetic hysteresis up to 80 kelvin in a dysprosium metallocene single-molecule magnet. Science. Z. Chen, et al. (2018) A belt-like one-dimensional Dy chain exhibiting slow magnetic relaxation behavior. Dalton Trans. D. Polishchuk, et al. (2018) Magnetic Hysteresis in Nanostructures with Thermally Controlled RKKY Coupling. Nanoscale Res Lett. 13:(1). pp.245. S. J. Liu, et al. (2013) Slow magnetic relaxation in two new 1D/0D Dy(III) complexes with a sterically hindered carboxylate ligand. Inorg Chem. 52:(4). pp.2103-2109. S. M. Chen, et al. (2018) A soft phosphorus atom to "harden" an erbium(iii) single-ion magnet. Chem Sci. 9:(38). pp.7540-7545.